Vin Cella offers individual, private six foot by eight foot walk-in cellars for lease on a yearly basis. Even if you have a cellar in your home, you will appreciate the advantage of additional storage space, especially for that part of your collection that you intend to lay down for the long term. An un-racked cellar will hold approximately 3,000 bottles when stacked in cases. 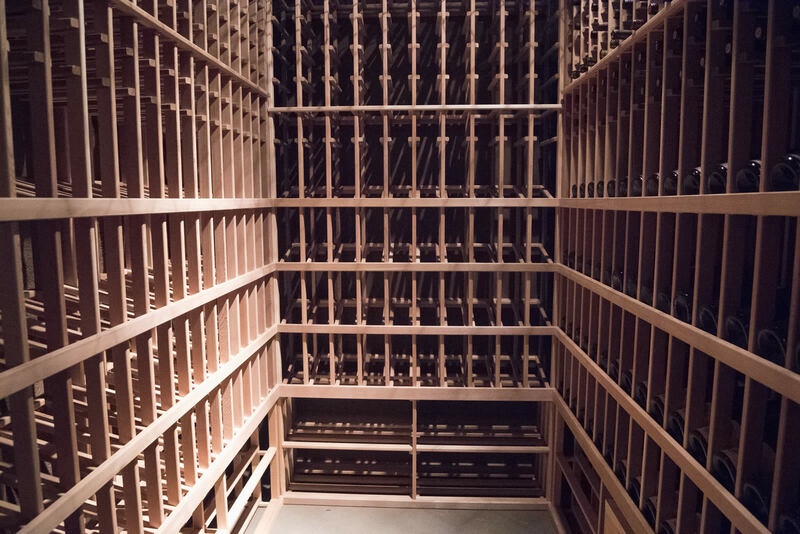 A racked cellar will hold fewer bottles overall, but provides easier access to individual bottles and a higher aesthetic. Combinations of racked and un-racked cellars are available as well as multiple cellars, depending on your needs.